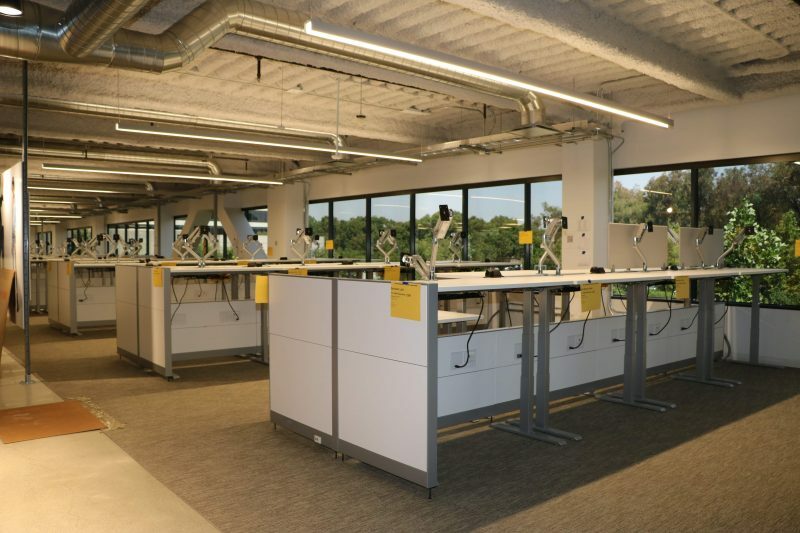 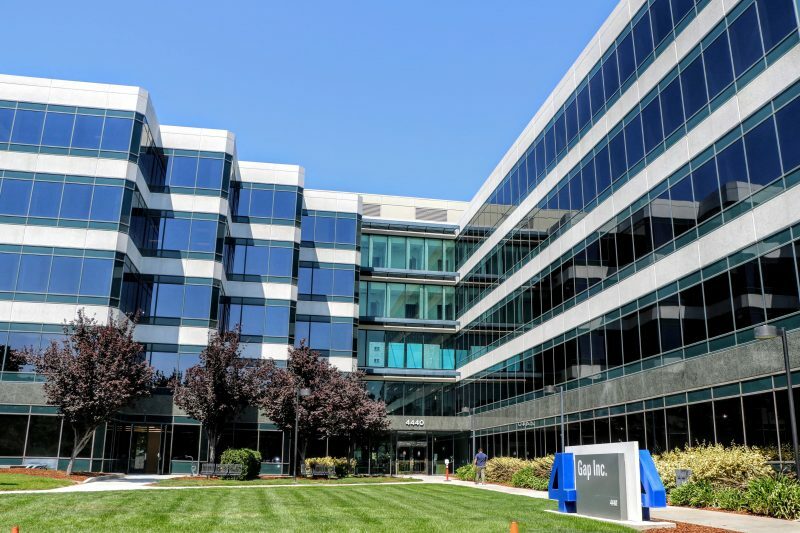 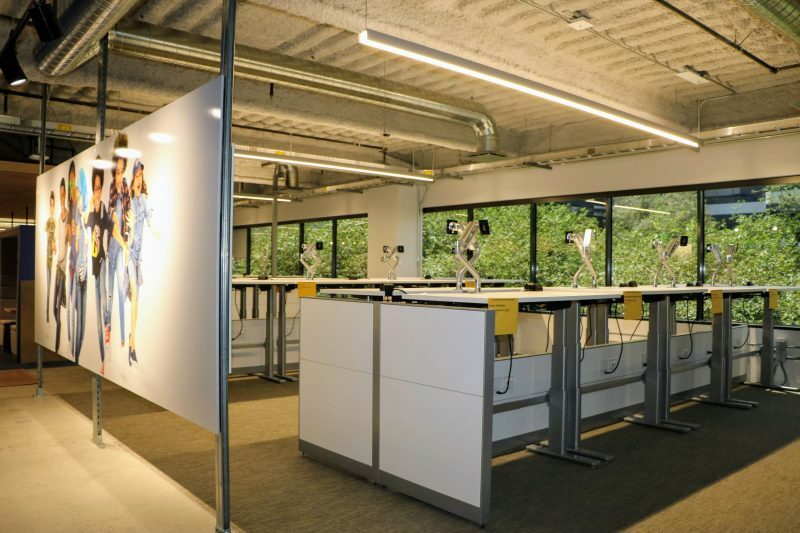 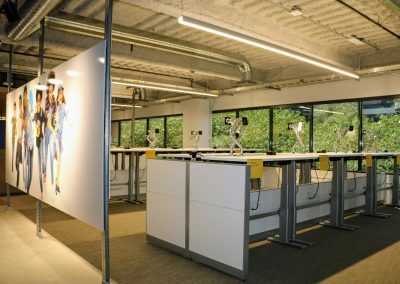 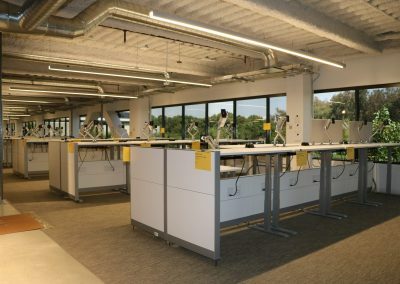 This project was a build out of 2 floors for GAP’s office building in Pleasanton. 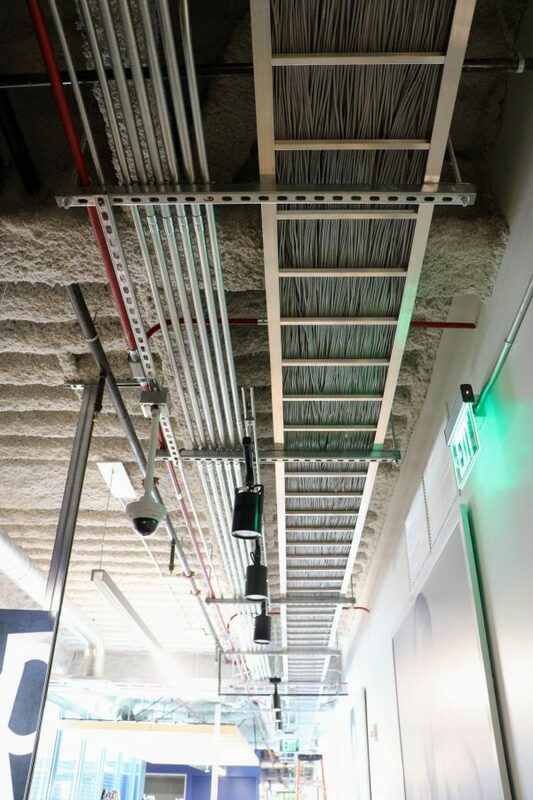 Each of these floors had exposed ceilings with cable trays routing the perimeters. 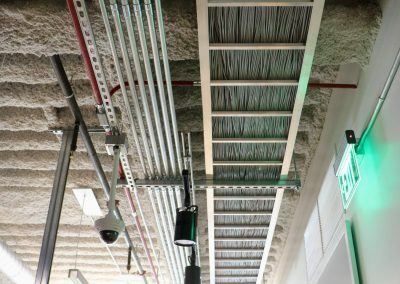 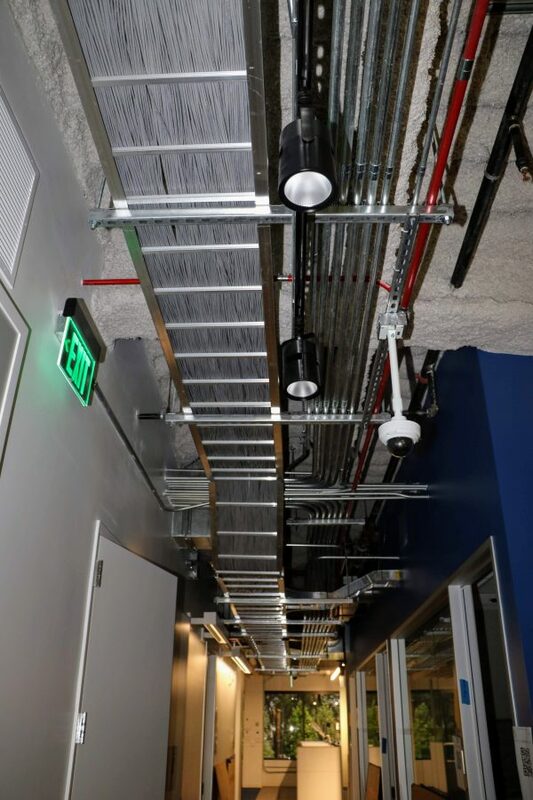 Our Telcom team built wireless access points in the exposed areas, and mounted them with telescoping poles which are piped to the trays. 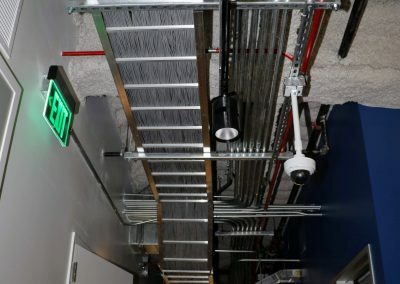 In some areas, these poles needed to pass through a wood slat ceiling so exact measurements were required as the mounts had to be in well before the wood ceiling. 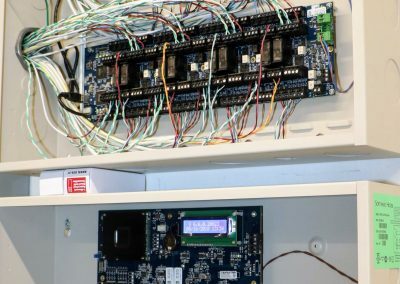 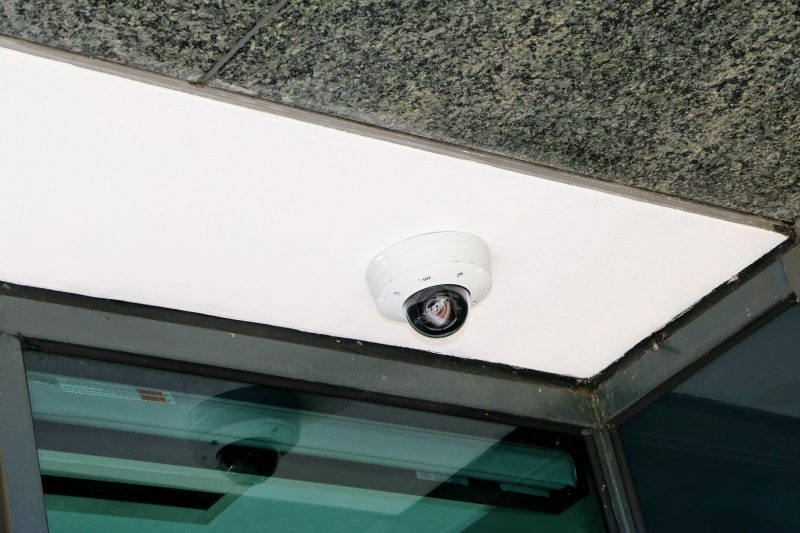 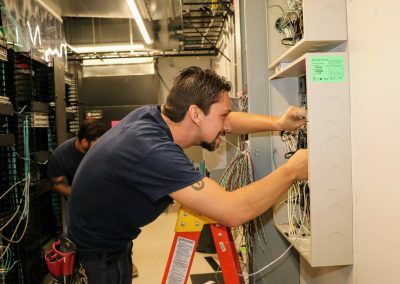 On the first floor our Security division installed (2) ISTAR Controllers, power supplies to control access doors,an AED unit, 27 cameras and wireless receivers for panics. 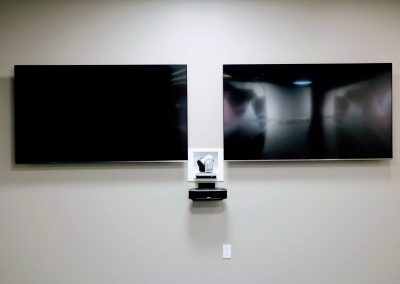 Two NVR recorders and a POE switch were also installed to record and monitor the cameras from both floors. 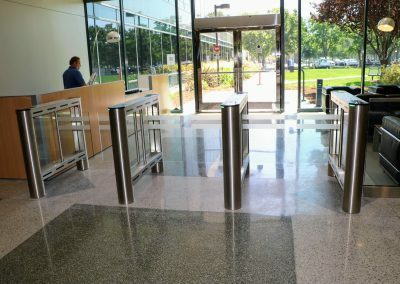 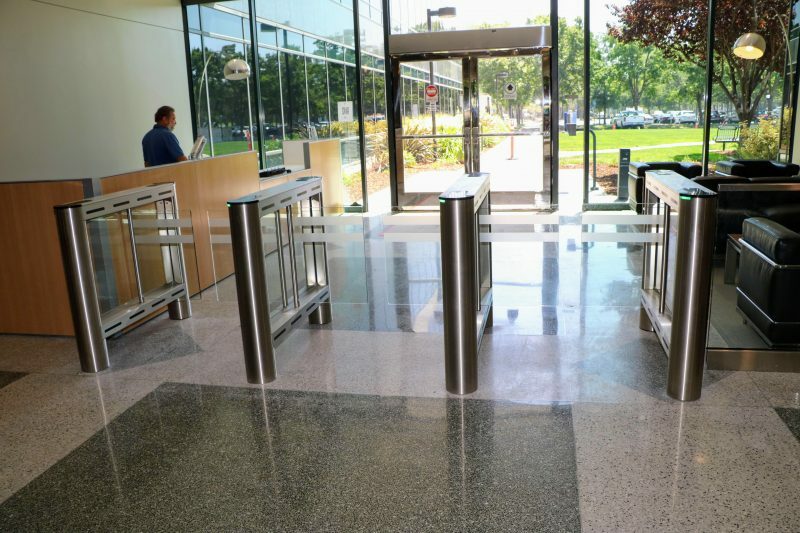 Intercoms were placed on pedestals at the entrance doors for communication and turnstiles were installed at the North and South lobbies all set up with desktop controllers for remote control security access. 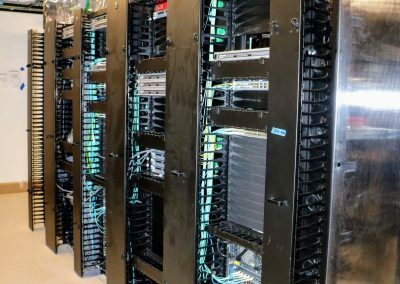 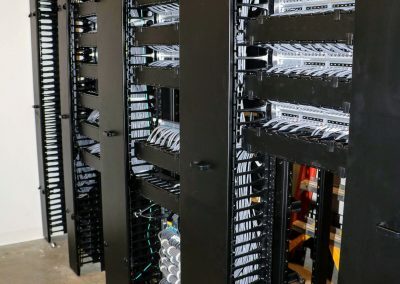 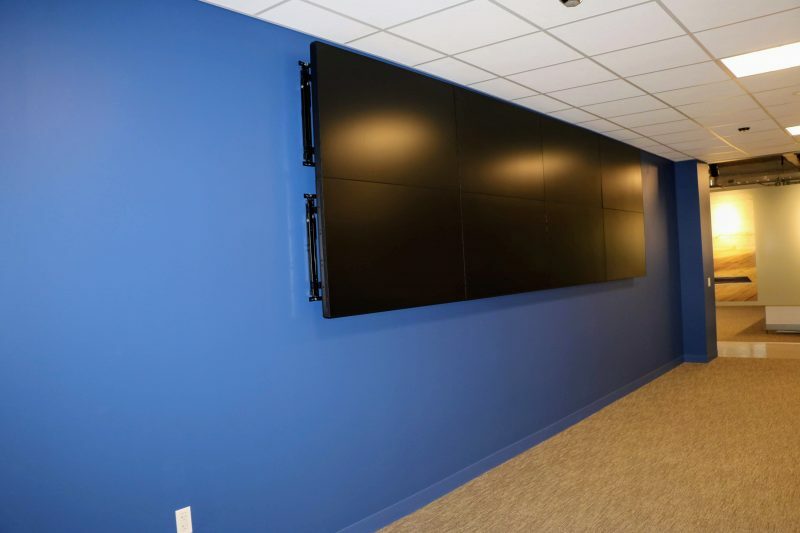 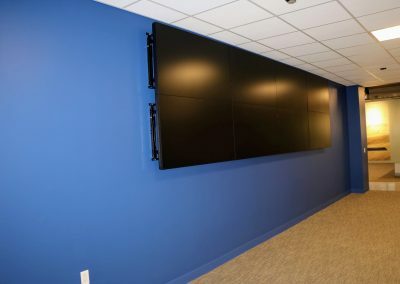 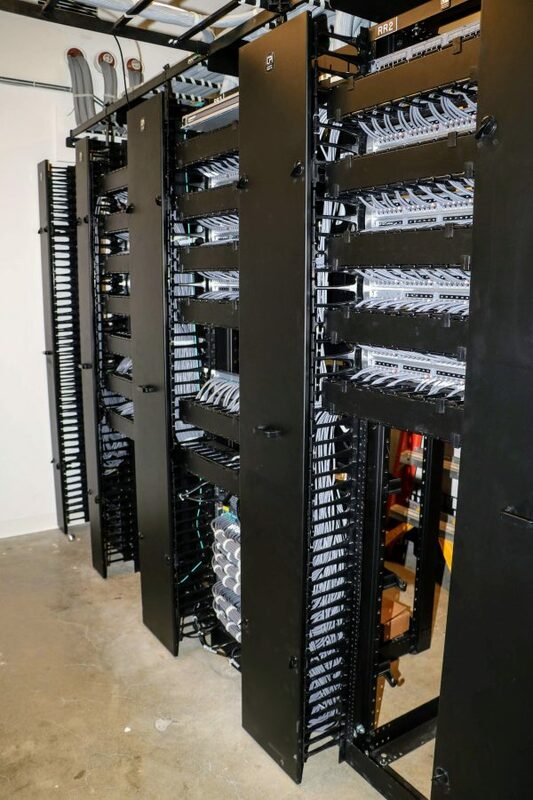 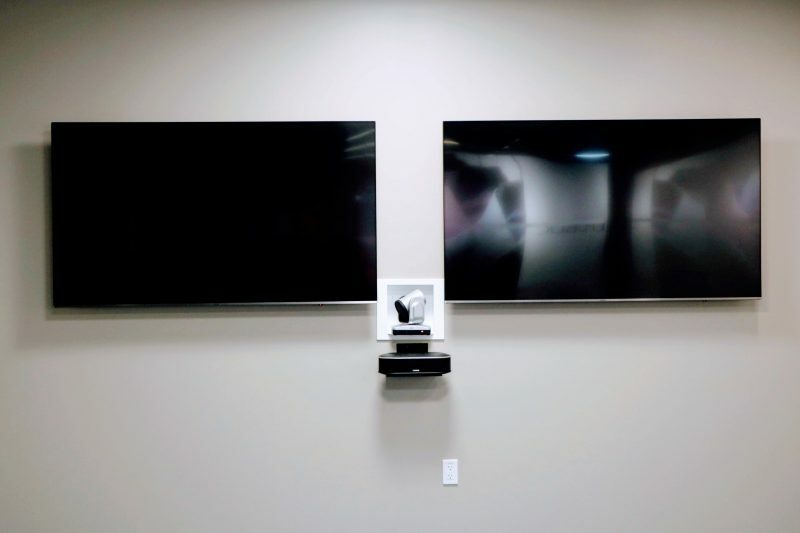 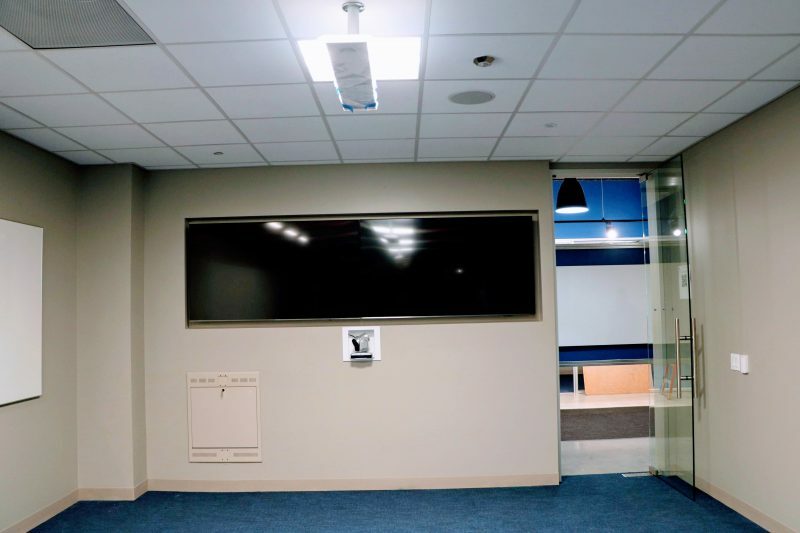 Our Audio Visual team installed a Network Operation Center Video Wall, zoom conference rooms, private phone rooms and room scheduling systems.